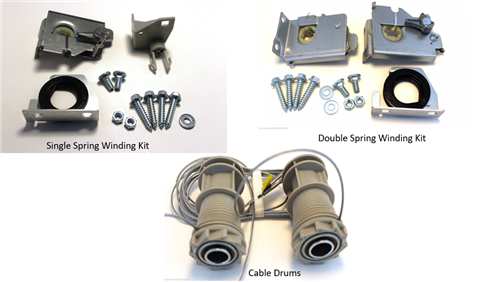 Conversion Kit for Torquemaster 1 to TorqueMaster Plus. Single Spring Winding Kit (333064) or Double Spring Winding Kit (333074) depending on your selection. NOTE: If the current flag brackets on your door do not have the rectangle slot as shown in picture # 2 above, this conversion kit will not be compatible. Please message us if you need to purchase a flag bracket with the rectangle slot.